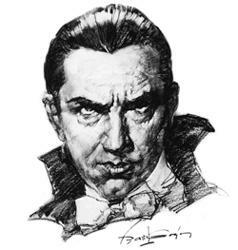 No matter how many vampire movies, television shows, or books come along, Bela Lugosi will always be remembered by the American public for his role as Dracula, the quintessential prince of darkness. But new historical research indicates that this most famous of movie monsters also played a role in speaking out against the real-life monsters of Nazi Germany. Lugosi (1882-1956) traveled a long and rocky road before he landed the role that would define his career. Because of his union activism, Lugosi was compelled to flee his native Hungary in 1919. The budding young actor hoped to settle in the United States, but new immigration restrictions made it extremely difficult for East Europeans to receive entry visas. He sneaked into the U.S. at the port of New Orleans in 1920, then later made his way to New York City and there managed to enter legally through Ellis Island. Although he barely spoke English, Lugosi managed to land the starring role in John Balderston’s stage adaption of the Bram Stoker novel, Dracula. It debuted in New Haven in 1927 and then enjoyed a 33-week run on Broadway. With his authentic Transylvania accent and hypnotic stare, Lugosi was the obvious choice to star in Hollywood’s Dracula film four years later. The movie was a sensation, and Lugosi’s bone-chilling performance mesmerized audiences from coast to coast. Starring roles in other horror films soon followed. By the time World War II broke out, he had established himself as Hollywood’s most famous villain, as well as arguably the best-known Hungarian immigrant in America. Meanwhile, the Nazi war machine was roaring eastward, and Hungary’s neighbors were crumbling one by one. Austria was taken without a shot. Yugoslavia and Croatia fell in 1941. Romania was next. Lugosi and other Hungarian-born Americans waited anxiously to see what would become of their beloved homeland. American Jews, too, anxiously monitored news about Hungary. Millions of Jews elsewhere in Europe –Poland, France, western Russia– had been massacred in their villages or shipped off to death camps. But Hitler had, for tactical reasons, left Hungary alone for the time being. That changed in March 1944. German troops occupied the country without a fight and installed a pro-Nazi government. The regime quickly agreed to collaborate with the newly-arrived Gestapo official Adolf Eichmann in deporting Hungary’s 700,000 Jews to Auschwitz. American Jewish organizations wanted the U.S. to intervene. The Roosevelt administration, however, viewed the Jewish refugee problem as an unnecessary distraction from the war effort. 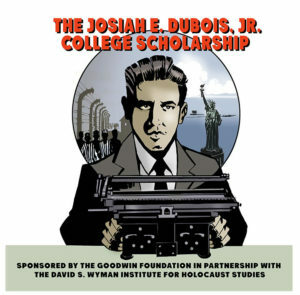 To bring pressure on the administration to take action, refugee advocates needed to do two things: they needed to draw public attention to the issue, and they needed to show that not just Jews, but also prominent non-Jews, cared about the plight of Hungarian Jewry. And that’s where Bela Lugosi came in. Nowadays we are accustomed to Hollywood stars getting involved in world affairs, but that phenomenon was not at all common in the 1940s. New research has revealed, however, that Lugosi was not afraid to take a stand for a just cause, and to use his celebrity status to boost that cause. Lugosi agreed to serve as one of the keynote speakers at a mass rally in Los Angeles on August 28, 1944, to demand the rescue of Hungary’s Jews. The rally, which according to press reports attracted more than 2,000 participants, called on FDR to put pressure on the Hungarian regime, and to loosen America’s immigration restrictions (the same regulations that had made it so hard for Lugosi himself to reach the United States). The rally in Los Angeles was one part of a broader protest campaign that refugee advocates mounted nationwide during the spring and summer of 1944 to bring about U.S. intervention in Hungary. Unfortunately, those efforts met with only mixed results. President Roosevelt did agree to take in one group of about 1,000 Jewish refugees–but then declined to grant haven to others. He did eventually press the Hungarian leaders to stop the deportations, but that pressure came too late to save most of Hungary’s Jews. Despite the limited impact of the L.A. rally, it is to Lugosi’s credit that he chose to speak out, at a time when most people in the Free World chose to remain silent. He may have portrayed savage villains on the silver screen, but in real life Bela Lugosi raised his voice in protest against the savage persecution of the Jews in his native Hungary.